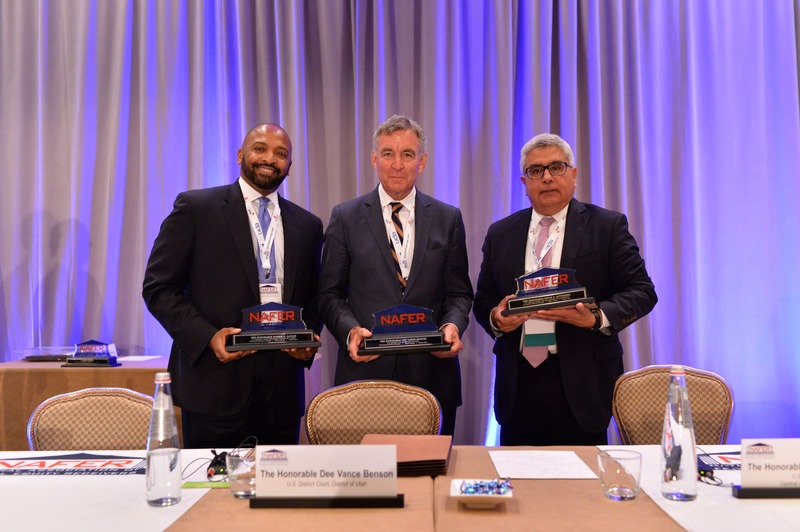 » NAFER 2017 Annual Conference: The Biggest and Best So Far! NAFER 2017 Annual Conference: The Biggest and Best So Far! Time it was oh what a time it was, it was!2 A time of non-innocence and confidences, to be sure, for the Keynote Presentation of the NAFER 2017 Annual Conference featured a convicted Ponzi schemer (Travis Correll, master of a $100 million scheme), SEC enforcement counsel Marshall Gandy, the federal equity receiver on the case (NAFER’s president, Greg Hays), and the receiver’s counsel David Dantzler. Mr. Correll traced the development of the fraud: (1) his faith in an exotic investment vehicle; (2) his solicitation of a few hundred thousand dollars from friends and family; (3) non-performance of the exotic investment vehicle; (4) the need to pay returns to investors being met by finding more investors (an expedient, since the exotic investment vehicle was sure to perform eventually); (5) the realization that the exotic investment vehicle was a sham (located far away in Europe); (6) his own lack of courage to stop the music himself; and (7) the metastasis of his company’s Ponzi scheme by independent investors on-selling interests in the exotic investment non-vehicle. What began as a $200k mistake came to envelope losses of over $100 million, and gave Mr. Correll eight years in federal prison, from which he was recently released. The presenters described the initial investigation, the dramatic arrival at Mr. Correll’s offices by the receiver and SEC, and Mr. Correll’s eventual decision to fess up, which he did in one swoop, reasoning memorably that “If you’re going to eat a s— sandwich, don’t —-in’ nibble.” Mr. Correll acknowledged and rued his role in hurting many people. Nevertheless, on this day his one-time pursuers and now fellow presenters joined the audience in enthusiastic applause for his willingness to give his very inside perspective. “Pursuing Claims Against Professionals, Fiduciaries, and Other Deep Pockets,” in which Rob Michaels, Stephen P. Harbeck, and Drew G. A. Peel provided perspective on the application of lawyerly concepts like limitations periods, statutes of repose, choice of law factors, apportionment of fault, in pari delicto principles, and professional malpractice concepts (panel produced by Melissa Damian Visconti). “Keys to a Cost-Effective Receivership When to Hold ‘Em & Fold ‘Em,” in which Jeffrey Brandin, Richard Foelber, and Ian Gazes discussed some efficiencies to be had from pre-receivership investigations by federal agencies and from cooperation with prosecutors (panel produced by Gianluca Morello). “Fraud Vectors in the Receivership Universe,” in which Michael Goldberg and James Sallah discussed in detail fraud vectors in cases arising from cryptocurrency schemes and from the federal EB-5 program whereby foreign investors in US businesses that meet metrics for increased employment can acquire green cards – and which promises to provide much work for conference participants in the coming years. “Receiver’s Training Camp: The Second Quarter” – the coaches were Greg Hays, Kelly Crawford, Kenton Johnson, and Wayne Klein, who diagrammed essential steps in a receivership, from the identification of assets to their recovery and disposition (panel produced by Kathy Bazoian Phelps and Kevin Duff – who is also NAFER’s president-elect). “Receiver’s Training Camp: Introduction to International Issues” – the coaches were Edward H. Davis, Jr., Mark Goodman, Chip Hoebecke, and Andrew Thorp, who discussed limitations on receiver efforts abroad; and conflicts between foreign official liquidators and US federal equity receivers, US and non-US courts, and regulators of different jurisdictions (panel produced by Alex Moglia). “Avoiding Turf Wars in Parallel Receiverships and Forfeiture Proceedings” – Eric I. Bustillo, Alice W. Dery, and Evelyn Sheehan shared points of view from inside federal agencies (SEC and DOJ) – with appropriate disclaimers as to not representing any official government positions — on who gets the money (panel produced by John J. Carney). “Taxing Questions for the Federal Equity Receiver” – David Agler, Julia Mandeville Damasco, Susan P. Tomlinson, and Jonathan Ware provided valuable perspective on sometimes confounding state and federal tax rules receivers face (panel produced by Maria M. Yip). Every NAFER Annual Conference has featured a Judges Panel, moderated by Robert P. Mosier. This year we heard perspectives from Judge Dee Vance Benson (D. Utah), Judge Darrin P. Gayles (S.D. Fla.), and Judge Philip Gutierrez (C.D.Cal.). The conversation was ample and somehow both deep and broad (these guys are not slouches!) A few highlights: Judge Gayles presented in 2016, shortly after his appointment to the bench, and this year described his several subsequent federal equity receivership baptisms, including a massive EB-5 visa program case. Judge Benson highlighted how federal judges must rely upon the professionalism and reasonableness of receivers and their professionals, as there is no judicial training in these matters except by doing. Judge Guitierrez noted that counsel in preparing pleadings should not forget that the first readers are often the law clerks, and draft accordingly. The judges differed on the degree to which they adopt federal agency recommendations as to which receiver to appoint. The producers of the respective panels moved things along and coordinated the production of impressive written materials that were all stored onto a Conference App – which forestalled the annoyances of paper cuts and shuffling noise while fostering a 4th Century Athens-like attention to oral dialectics among panelists. To review, a federal receivership is an equitable remedy employed to protect the interests of persons and entities harmed or potentially harmed by a business or property that is subject to federal jurisdiction. Federal district courts appoint federal receivers at the request of harmed persons (like creditors or defrauded parties) or of federal regulatory entities, like the Securities and Exchange Commission, the Federal Trade Commission, and the Commodities Futures Trading Commission, which represent the diffuse interests of people protected by federal laws and regulations. The federal receivership remedy is not well known even among insolvency professionals – though it has grown in use in recent years and we anticipate that its use will continue to grow. A federal receiver can quickly and efficiently gain control over a defaulting or fraudulent business in order to maximize returns to the receivership’s beneficiaries. Federal receiverships are often imposed on businesses that engaged in Ponzi schemes and other securities fraud. To read an excellent short article on the subject, click here. 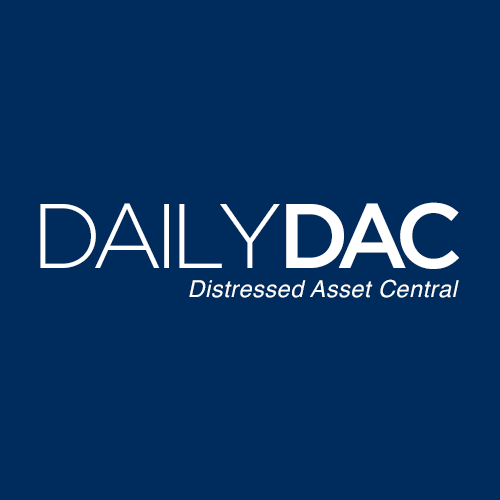 DailyDAC’s website and its newsletter (emailed to approximately 20,000 subscribers each week) educate C-level executives, business owners, and professional investors about restructuring and insolvency. Receivers can advertise asset sales with DailyDAC at a cost far less than a newspaper ad and a share of proceeds goes to NAFER. For more information, click here. 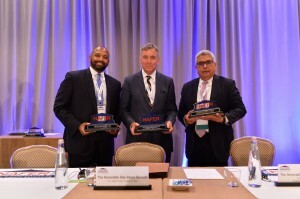 The National Association of Federal Equity Receivers held its Sixth Annual Conference in Miami, October 18-20, 2017 at the Four Seasons Hotel. For more on the Conference, see the NAFER website. 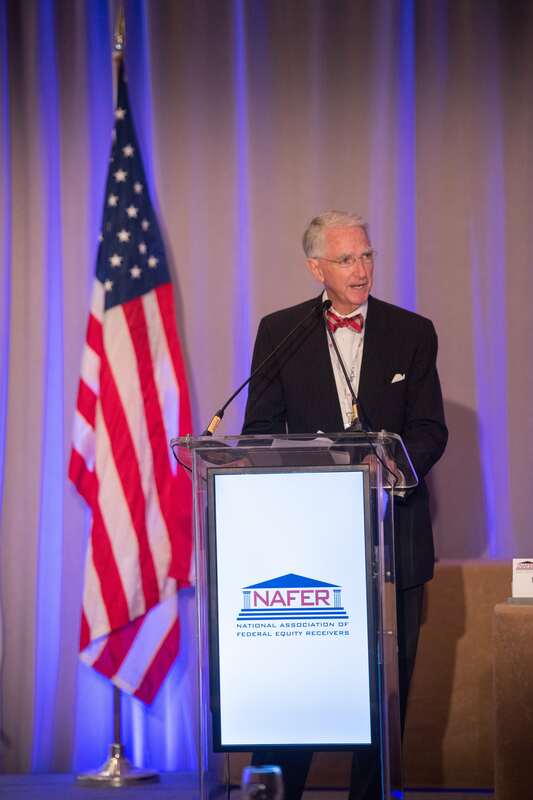 Read our reviews of NAFER’s 2016 Annual Conference in Washington, D.C. and of NAFER’s 2015 Annual Conference in San Diego. NAFER 2017 Annual Conference [Oct. 18-20]: Miami, and a Ponzi Schemer Speaks!